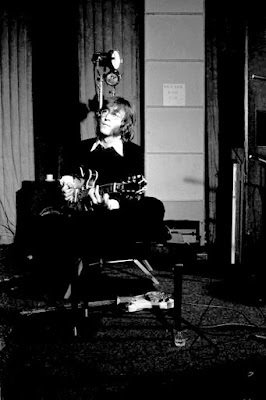 50 years ago today one of my top favorite Beatles songs, Hey Bulldog, was recorded. 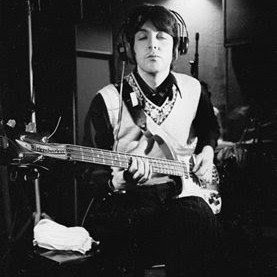 I think what makes the story even neater is that cameras were there that day to record a promotional video for "Lady Madonna." So while most people thought the Beatles were singing "Lady Madonna" on the film, those of us who were fans and read Beatle Book Monthly knew that really they were doing "Hey Bulldog." The truth came to light in 1999 when this was suddenly "discovered" and someone was smart enough to sync the audio and the video together. This was shown on 20/20 and annoyingly Barbara Walters talked over the entire video. I have it on VHS that I taped off TV somewhere in a box. 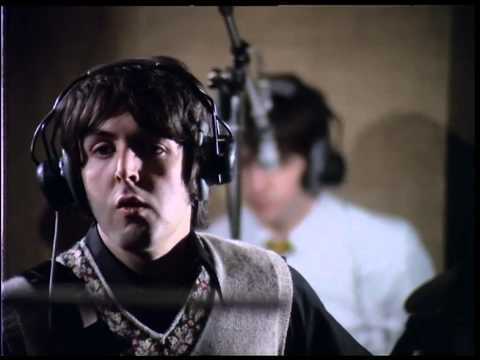 I know Hey Bulldog isn't a masterpiece in comparison to other Beatles songs, but I think it is just so much fun. That bass line is one of the best ever. It is such a catchy song. And so I am happy that 50 years ago today the Beatles recorded it. I love that song too, and that bass line - wow! 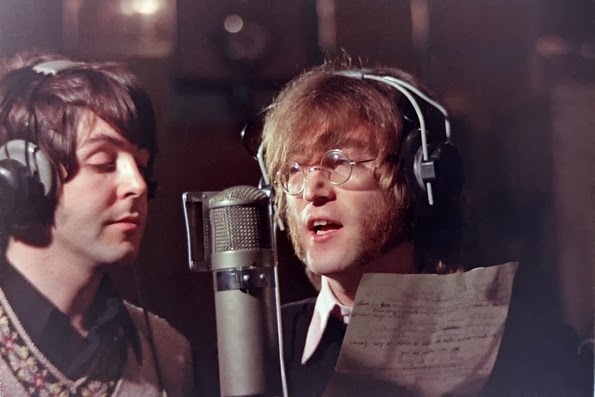 I especially love photos from this day and the video because that is exactly what they all looked like a few days earlier, when Gayleen and I recorded Across the Universe with them. John was wearing that same black sweater with a different shirt, and if I'm not mistaken Paul was wearing that same vest (too lazy to get up and look in my diaries or book...). Hi Ray, I wouldn't know... I always read that the three of them were 5'11 and Ringo was a bit shorter. Yes, I saw them many times, but I never measured them or compared their height. Sorry I can't help! 5'10 to 5'11 seems about right. Apparently it's well known that famous people appear smaller than what they really are but it's an illusion. People almost think they are the same size as them, but it's only when they are photographed next to them that you see the extra inches. 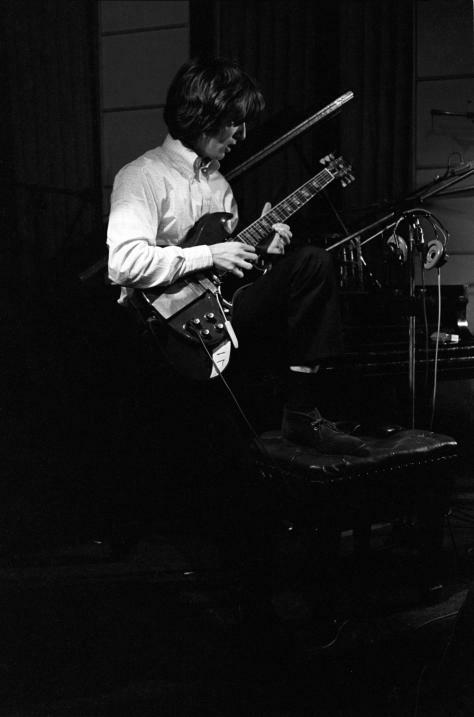 There's some great stories in Geoff Emerick's book about these sessions for Hey Bulldog. Highly recommended. I agree the Hey Bulldog is not as good as other songs of The Beatles but still this story behind it really interesting. Thanks for sharing it. I am fan of The Beatles just like you. 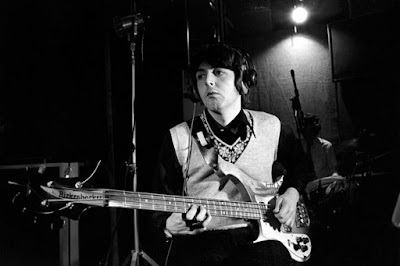 Every Beatle song is a masterpiece. Even "You Like Me Too Much", even "Act Naturally", or whatever song you want to put at the bottom (everyone has a different list). 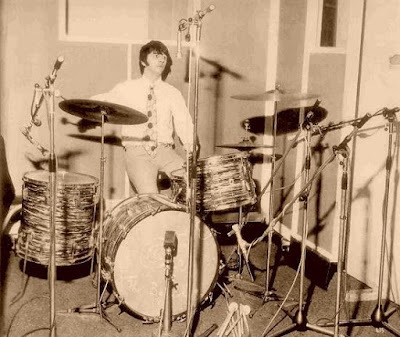 "Hey Bulldog" most definitely is a solidly fantastic Beatle track that I've never heard a bad word said about. It is great from the very beginning intro piano riff, right to the very end of the fade out (all Beatle songs have classic fades). 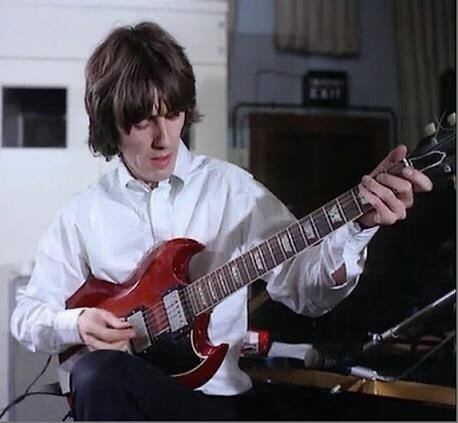 The guitar solo is one of George's best. It's a rock and roll masterpiece. If all it had was that riff, it would STILL be a rock and roll masterpiece!